Breast cancer is one of the most common types of cancers among women. When did you receive your diagnosis? How long after your diagnosis did you wait before telling your employer? Without a doubt, a cancer diagnosis can flip your world upside down. Although being diagnosed with cancer can be a difficult time, many people decide to work through their diagnosis – to both earn income and preserve some of the normalcy after their diagnosis. After your employer learned of your breast cancer diagnosis, did he or she begin treating you differently? Did your employer subject you to poor treatment simply because you were diagnosed with breast cancer? If so, your employer might be discriminating against you because of your diagnosis. If you have become the victim of workplace discrimination due to your breast cancer diagnosis, you might have grounds to take action against your employer. Are you interested in taking action against your employer after being subject to breast cancer discrimination? If so, you should seek legal assistance with our Los Angeles breast cancer discrimination lawyers as soon as possible. The attorneys at California Labor Law Employment Attorneys Group are ready to provide you with the assistance that you need to take action against your employer for discriminating against you – do not hesitate to contact our law firm today. How Does a Breast Cancer Diagnosis Affect Employees in their Workplace? Without a doubt, a breast cancer diagnosis – or any other cancer diagnosis – is likely to affect employees in many ways. The most obvious way employees could be affected in their workplace by their diagnoses includes their ability to work. In many cases, diagnosed employees must take extended periods of time off work to focus on their health. If extended leave from work is not necessary, it is likely that employees need to take a few days here and there for appointments, tests, and treatment, for example. In general, any cancer diagnosis – including breast cancer – might require a reasonable accommodation. In addition to the employee directly being affected by the diagnosis, the employee could also be affected by third parties – including employers. Unfortunately, many employers begin treating their employees differently just because of a medical condition. For example, employers might deny employees specific work opportunities, such as promotions or raises, for example. 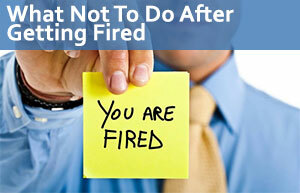 Employers might also demote employees without valid reasons. In severe cases, employers might terminate their employees just because of their diagnosis. If you believe that you have been discriminated against because of your diagnosis, do not hesitate to seek legal assistance as soon as possible. The breast cancer discrimination lawyers at our law firm are ready to provide you with all the information that you need to take action against your employer. What Laws are Relevant to Cancer? If you would like a more thorough discussion of these laws, do not hesitate to contact our law firm as soon as possible. Our breast cancer discrimination lawyers in Los Angeles are ready to evaluate your claim and provide you with all the information that you need to understand your rights as an employee and your rights to take action against your employer. Do you have the right to take action against your employer if you suffered workplace discrimination due to your breast cancer diagnosis? Without a doubt, you have the right to take action against your employer. What can you do? You actually likely have a few options available to you. For instance, you could pursue a charge through the Equal Employment Opportunity Commission (EEOC). You could also pursue a charge through the Department of Fair Employment and Housing (DFEH). The EEOC and DFEH are federal and state employment agencies, respectively, that oversee and enforce employment laws; these agencies also handle employment claims when they arise. In addition to pursuing claims with the EEOC or DFEH, victimized employees also have the right to file civil lawsuits against their employers, once they have been granted the right to sue from the appropriate employment agency. If you would like to learn more about your right to pursue a claim against your employer, do not hesitate to seek legal assistance as soon as possible. Our breast cancer discrimination lawyers are ready to provide you with all the information that you need to take action against your employer as soon as possible. You were subject to breast cancer discrimination in your workplace due to your diagnosis. If you take action against your employer, could you recover any form of compensation? Regardless of the discrimination that you suffered and how it affected you, you might be eligible to receive compensation. How much compensation could you recover if you suffered breast cancer discrimination in the workplace? What type of compensation could you receive if you were subject to breast cancer discrimination? If you would like more information about the specific type and amount of compensation that you might receive after your claim reaches a successful outcome, do not hesitate to contact our Los Angeles breast cancer discrimination lawyers as soon as possible. Our breast cancer discrimination lawyers are ready to fight for your right to recover the highest amount of compensation available for your claim. If you are ready to discuss your discrimination claim with the attorneys at our law firm, do not hesitate to contact California Labor Law Employment Attorneys Group as soon as possible. Do you believe that your employer discriminated against you because of your breast cancer diagnosis? Did your employer subject you to poor treatment in the workplace due to your breast cancer? Did your employer discriminatively make employment decisions based on your breast cancer? If you believe that your employer in Los Angeles subjected you to breast cancer discrimination, do not hesitate to seek legal assistance as soon as possible – as you might have grounds to take action against your employer. If you have suffered breast cancer discrimination in your workplace, do not hesitate to seek legal assistance with the experts at California Labor Law Employment Attorneys Group as soon as possible. California Labor Law Employment Attorneys Group is an employment law firm with many years of experience handling a variety of claims, including breast discrimination claims. If you suspect that your employer has subjected you to unfair and unjust treatment based on your diagnosis, you can be certain that our lawyers are ready to provide you with the guidance that you need to better understand your rights as an employee and your rights to take action against your employer. If you would like to discuss your claim with our attorneys, do not hesitate to contact our law firm as soon as possible. Those who suffer unjust treatment in the workplace usually hesitate to seek legal assistance, especially considering that many employees who are affected by discrimination in their workplace end up with financial difficulties. At our law firm, we understand this, and we are dedicated to doing everything within our reach to ensure that all affected employees have access to the legal assistance that they need. Because of this, we offer both free consultations and free second opinions. During our free consultations and free second opinions, the breast cancer discrimination lawyers in our Los Angeles law firm will be available to answer all your questions and address all your concerns – ensuring that you have access to all the information that you need to take action against your employer. Would you like to schedule a free consultation or a free second opinion? If so, do not hesitate to contact our law firm today. When you contact our law firm, you will find that our firm offers a Zero-Fee guarantee. Our Zero-Fee guarantee ensures that our clients never have to worry about paying any upfront legal fees for any of our legal services. Our firm is also based on contingency; therefore, our clients will never be required to pay anything until after reaching a successful claim outcome. If you are ready to discuss your breast cancer discrimination claim with the Los Angeles lawyers at California Labor Law Employment Attorneys Group, do not hesitate to seek legal assistance as soon as possible.